Long Island Events, Coupons, Reviews! Do you love Wine? Do you love trying different red and white wines to see what you like? If your answers are yes, then I have found something perfect for you. 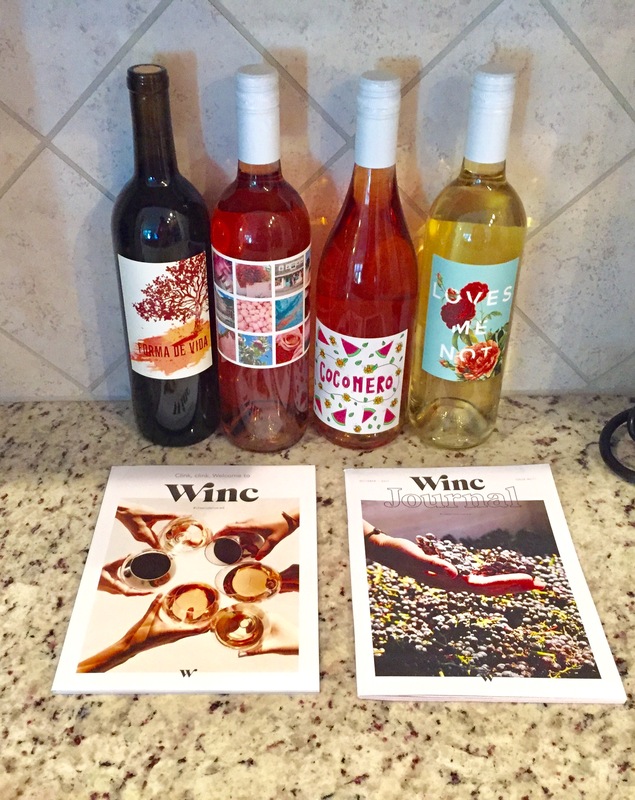 A wine subscription from Winc! Winc connects you to a world of exclusive wines tailored to your tastes and offers wine delivery right to your door. Answer six questions to help Winc access your unique tastes and then they send you wines specifically chosen to match your palate. When you are done trying them, rate them to get better recommendations on your next order. Satisfaction is guaranteed, if you do not like the wine sent to you they will refund you. Members can skip a month anytime free of charge. There is also no commitment. If you tried it and feel it isn’t for you just call or chat with Winc to cancel. Also, the more wines you receive and rate..the more wine credits you will receive for future orders! Bottles start at just $13 each. I answered my 6 questions and was paired with 4 wines. I prefer sweet white wines over red wines, so what I love is you can choose a variety combination of reds and whites. For example, I chose to receive 3 white and 1 red. You can also choose 2 white and 2 red or 3 red and 1 white etc. I really like having that option. I was then shown which wines were picked for me. You can click each option and it will show you all of the info on that particular wine such as body, sweetness amount and alcohol content. It will also give you food pairing suggestions. I love really sweet white wines and was disappointed they did not offer me a sweet Moscato which is my favorite. So, I decided on 2 Rose, a white blend and a fruity red wine. Checkout was simple and I received a nice $22 discount with the code I will provide you all. I received many status emails and even texts about my order which kept me in the loop. Make sure someone at least 21 years old will be home to sign for your order. I received my wines super fast. They were packaged securely and were in perfect condition. I was pleasantly surprised to see that a Winc Journal and a Welcome to Winc book were included in my order. The book tells you all about different types of wines, and the Journal of the month gives you lots of recipes, pairings and information, Both were very helpful! In conclusion, I am very happy with this subscription service and the wines I was sent. I do however wish they offered more options of wine to choose from. This would make a great holiday gift for someone in your life that loves wine. I will definitely be ordering again. Receive $22 Off Your First Month of Winc. Click here to order. *I received a complimentary month subscription is Winc in exchange for this review. All thoughts are my own.